On December 5, 2014, Orion launched atop a Delta IV Heavy rocket from Cape Canaveral Air Force Station’s Space Launch Complex Flight Test on the Orion Flight Test: a two-orbit, four-hour flight that tested many of the systems most critical to safety. 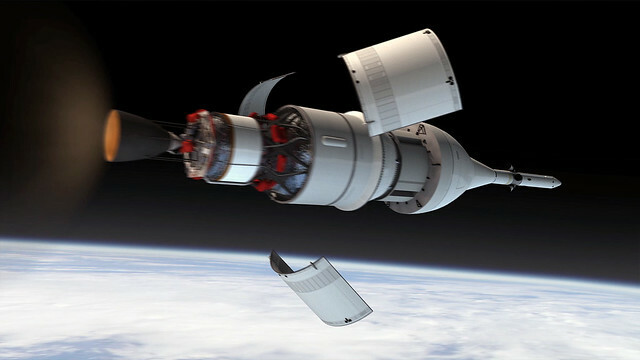 In the future, Orion will launch on NASA’s new heavy-lift rocket, the Space System Launch. More powerful than any rocket ever built, SLS will be capable of sending humans to deep space destinations such as an asteroid and eventually Mars. Exploration Mission-1 will be the first mission to integrate Orion and the Space Launch System. exploration beyond Earth’s orbit into deep space. While the space shuttle achieved many ground-breaking accomplishments, it was limited to flights in low-Earth orbit (approx. 250 miles high). Its major goal, over the program’s last 10 years, was to launch and assemble the International Space Station, where the risks and challenges of long duration human space flight can be addressed and retired. With the ISS construction complete, NASA is in the process of handing over supply and crew transportation missions to private industry, so NASA can focus on what’s next – deep space exploration. And this first flight test of Orion is a significant milestone on the path to get there. While this launch is an important step to taking humans farther than we’ve ever gone before, it is important to note that it also reflects the fact that, after 30 years of space shuttle missions dominating its human spaceflight activities, NASA has reevaluated everything – from its rockets and launch facilities to how it designs and manages its programs. With the Orion spacecraft, NASA wanted to develop a vehicle that could fly for decades with the flexibility to visit different destinations and safely return astronauts to Earth as the nation’s exploration goals evolve. As capable as the Apollo capsule was, the longest round trip mission to the Moon took 12 days. Orion is designed as a long-duration spacecraft that will allow us to undertake human missions to Mars – a two year round trip. 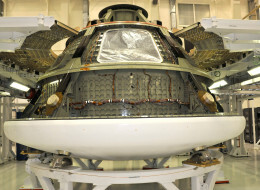 In addition, NASA built enough capability into Orion so there is no need for redesign, or to start up a new program, as new destinations are identified. As a nation, the U.S. has not sent crews beyond low Earth orbit since the last Apollo crew walked on the Moon in 1972. 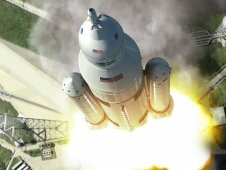 With Orion and SLS, America will have the fundamental capabilities to support missions taking the next steps into deep space, and with innovation and flexibility at the foundation of these programs, NASA is building a “Highway” for deep space exploration that will be sustainable for decades to come.